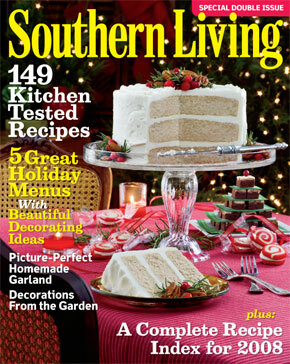 Southern Living Giveaway – Happy Holidays! On March 25th, 2009, we started 2frugalfoodies, and it has been such a fun year. (Look at how far we’ve come since that first recipe!!) We’ve loved sharing our culinary adventures with you over the past 8 months and we want to say thank you. Also, we are bubbling over with excitement about Christmas and are embracing the spirit of giving. So, for our holiday shopping this year, we’re getting you a present. Don’t get too excited – by you, we mean the collective you, and by the collective you, we mean the one lucky winner of the Southern Living Giveaway. The giveaway details are below, and the winner gets a one year subscription to Southern Living magazine. We would give you a subscription to Food and Wine or Cooks Illustrated or Saveur or something like that, but then how would we know that you would come back? Here’s how it’s going to work: Today is November 30, and we need to name the winner by December 10th. So, over the next 10 days, we want you to comment on this post (or any other for that matter) and give us some ideas for things to cook over the holidays. 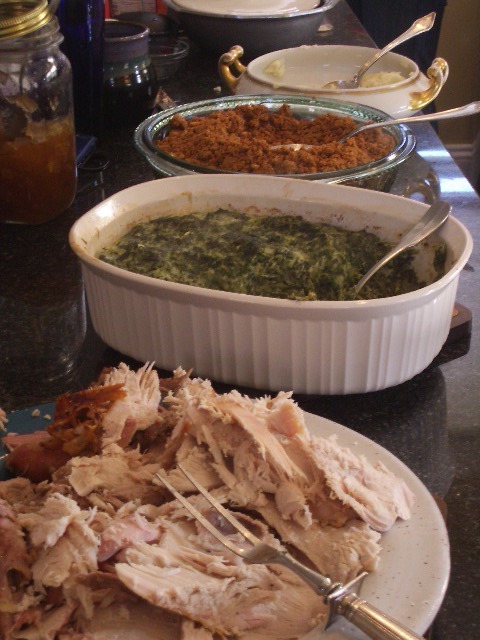 What’s your favorite holiday meal? Side dish? Dessert? Drink? Do you have any tips about how to do it better? Short or long – it doesn’t matter – just keep those ideas flowing! On the afternoon of December 10th, we’ll say at 5:00pm EST, we will choose a random winner. Most likely, we will document the process so that you can see just how fair we’re really being. So – go ahead and send in your ideas! I generally host a number of holiday parties during this time of the year, and for me, a meal that I can (mostly) make ahead to save time and reduce my pre-party stress is hugely important. My go-to this year? Short ribs (I braise them the day before and just rewarm them prior to serving–this is also a great opportunity to skim the fat off of them), twice-baked potatoes (baked once in the morning), and a variety of puff pastry/phyllo appetizers (which I assemble, freeze, and bake directly from the freezer). All I need to do beforehand is pop things in the oven and throw together some quick vegetables, and a fairly impressive spread is ready to go. Hi! I’d love to hear some slow-cooker recipes. I feel like it’s hard to find good ones 🙂 Love you! I’ve never tried brining a turkey. My husband likes mine so well, he won’t let me try anything new. I learned to bake a turkey in a paper bag from my mother, and they’re wonderful. Love Southern Living magazine. Hope I win! I love Thanksgiving b/c I always make an apple pie. I found a new awesome recipe this year, that sadly, I haven’t posted yet, but OMG it is soooooooooo good! Thanks, y’all! This looks delicious! More desserts, chili, and drinks comin’ right up! Everyone else, keep commenting for your chance to win! After mixing all ingredients, fold in egg whites. Do you have a chili recipe? I’m craving soups and chilis as the weather gets colder and colder. I would love to see some frugal holiday cocktail recipes!